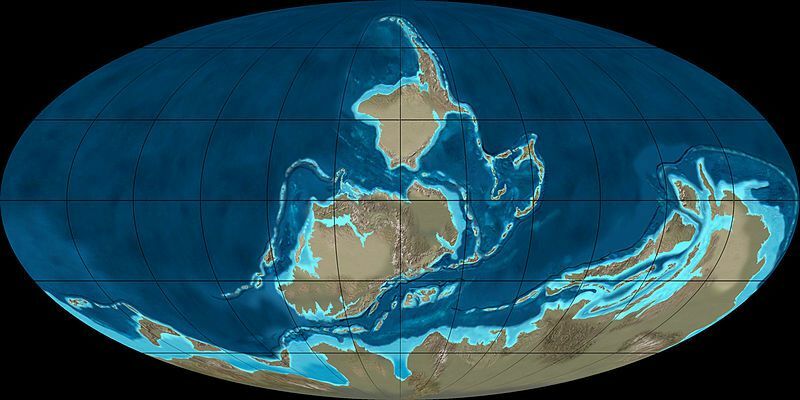 The Devonian is the fourth geological period of the paleozoic era. It extended from 417 million years ago to 350 million years ago. It is called "The age of sharks" because of the great diversity of these animals during that period. The Devonian also saw the appearance of the arachnids and the first semi-terrestrial animals (ichtyostega, pederpes).